Spring is a time of renewal. Many homeowners are ready to trade in the dull for a refreshing change of pace. Redecorating, painting, and renovating are common outlets for renewing and refreshing a house or apartment. You do not have to stretch your budget. Instead, look around you and see what you already have that can rejuvenate your surroundings. A gallon of paint and a good clear out are just the beginning. Utilizing the extra space of a self-storage unit from 5A Rent-A-Space helps you create much-needed room while you give your abode a spring makeover. When you rent from us, we can help you move into your unit with the use of our free moving van. Use Fun, Bright Throw Rugs – Pull out that rug stuck in the back of the closet and use it as an anchor for further decorating. Put Old Art in New Frames – Instead of hiding a favorite portrait, put a new, updated frame around it. Save money by painting the frames. Make a Statement on Your Ceiling – When purging that old 80s chandelier from the dining room, why not decorate your ceiling? Use the space above your head as your accent wall with a standout color. Give Your Favorite Chair New Clothes – Upholstering furniture is an easy way to make the old new again. Look for fabric that will complement that throw rug you put down. Replace the Drapes – Curtains add an aesthetic touch to your space without taking away from it. The different styles and textures increase the statement made to the room. If you are handy with a sewing machine, transform old blankets, sheets, or towels into new window furnishings. Repurpose Rooms – Failing to use a room means it can quickly fall into disarray from clutter. Decide to declutter and clear out that unused room and turn it into an oasis, office, or craft room. Make use of our free moving van when you store some of that clutter in one of our self-storage units. Add Houseplants – Purify the air by including houseplants into your redecorating plans. Some popular ones that look great and are low-maintenance include English Ivy, Bamboo Palm, and Chinese Evergreen. Give your home a breath of fresh air as you redecorate. During the renovations, a self-storage unit can help. Rent a convenient 5A Rent-A-Space unit near Lafayette, and we will help you move your stuff with our free moving van. During the month of March, enjoy a 35% discount on rent for two months on all units 9 x 10 and smaller while supplies last. Hurry in! We have limited availability. Need boxes? We offer a variety of sizes to fit your needs at 10% offer during March. Spring cleaning is a time for renewing and rejuvenating your home. Removing clutter and deep cleaning makes every room feel light and fresh. Most of us find the idea of enjoying a home after spring cleaning, refreshing; however, we are often overwhelmed by the sheer volume of stuff we own. So much so, that it is easier to forget the cleaning and replace it with binge-watching your favorite shows on Netflix. You know you need to spend time clearing out and cleaning up, so why not make it fun? Still need some room for extra belongings you are not ready to part with? 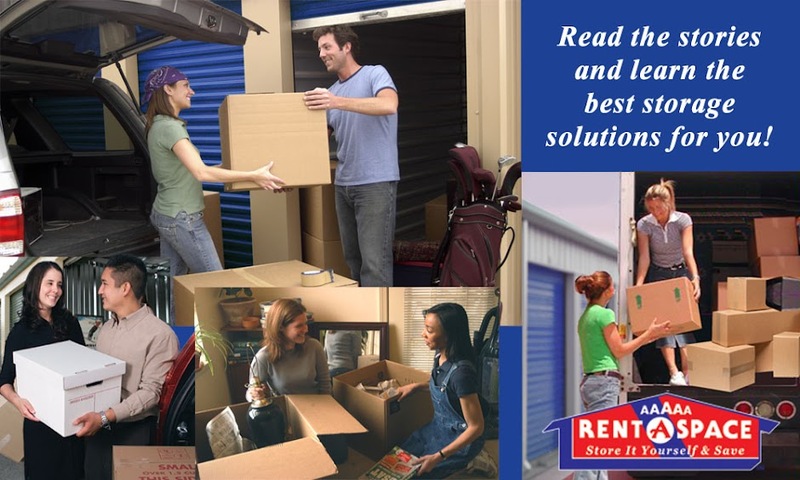 Rent a self-storage unit near your Lafayette, California home. 5A Rent-A-Space is conveniently located for easy access to seasonal items and decorations while the rest of your house can stay sparkling clean and decluttered. We can even help you move in with the use of our free moving van when you rent from us. Enlist the Family – Ask all the family to join in. You might hear a few groans, but that can easily be overcome by using the other tips in the list. Make It a Game – Set a timer and see who can pick up the most toys or make it a scavenger hunt. Use your imagination to get your children involved in a way that makes them forget they are cleaning. Turn Up the Tunes – Create a playlist of several upbeat songs and then turn up the radio. Soon you, your spouse, and your kids will be jamming to your favorite tunes, and the house will be sparkling before you know it. “Read” a Good Book – Audiobooks give you the advantage of multi-tasking. Take in that romance you have been waiting to “read.” Another option is to binge-listen to podcasts. Reward Yourself – Decide how you will reward your efforts when the job is done. Will you go to that new restaurant in town? Maybe you can take a long bubble bath in your squeaky clean tub. Plan a Party – When you know someone is coming to visit, you immediately straighten your house. Use that force to your advantage and plan a party. You then have two items 1.) a deadline, and 2.) a reason to celebrate your accomplishment. Create an Upcycle Challenge – Use your imagination to take those old items and find new uses for them. Pinterest can give you plenty of ideas. Store your future creations in a self-storage unit near your Lafayette home until you are ready to use them. Practice Your Squats – Make the most of sorting through your stuff by adding stretching, squatting, and arm curls when you go through your belongings. When you add peppy music, you can quickly work up a sweat and burn calories. Make S’mores –Grab the chocolate, marshmallows, and Graham crackers and enjoy a snack while shredding old paperwork that’s no longer required. Fund Your Next Vacation – Among your things are likely to be many of great value. Put them up for sale and use the money to fund your next vacation. Make cleaning fun again when you enlist the help of family and take a different view of the job to be done. After all the purging is done, keep your home decluttered with the help of convenient 5A Rent-A-Space self-storage units near Lafayette. We have a variety of sizes to accommodate your needs so that you can enjoy your home this spring season. Need boxes? We offer a variety of sizes to fit your needs at 10% off during March.